All communications with the Kitely website are now encrypted using SSL. This means that you can visit our website from anywhere, even over public Wi-Fi networks, and have your private information remain secure from eavesdroppers. We changed the Kitely Market shopping cart to make it easier to understand which avatar will receive the items that you purchase. Previously there were three delivery options: “Me”, “Gift” and “Other Grid”. This confused some of our marketplace shoppers, who thought that “Me” referred to their avatar on another grid, when in fact it referred to their Kitely avatar (we automatically create an avatar on our grid for anyone who signs up for a Kitely account). 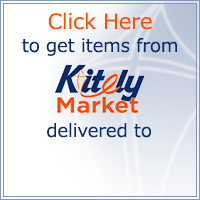 My Kitely Avatar – the items will be delivered to the Kitely avatar that belongs to the Kitely account that you are logged in with. Other Avatar – the items will be delivered to a different avatar. That avatar may be a Kitely avatar (one of your alts, or another Kitely user’s avatar), or an avatar that belongs to a different grid altogether. We added a feature that’s intended for grid owners, and makes it easier for their users to buy from Kitely Market. The problem is that in order for Hypergrid users to buy from Kitely Market, their grid needs to be included in the list of grids in the Shopping Cart. Only a few widely-used grids are automatically included in everyone’s grids list, e.g. OSGrid. All other grids need to be added manually using the Grid Manager (you can see the link to the Grid Manager in the screenshot above). In order to make adding a custom grid easier, it’s now possible to create links to Kitely Market that automatically add a custom grid to the user’s grids list. This is done by adding a parameter called “grid” to the URL. When we see this parameter, we find the specified grid; add it to the user’s grids list; and make it the currently-selected grid. The value of this parameter is the grid’s Grid URI (sometimes called the Home URI). To use this image, first open it in an image editing program and add your grid’s logo at the bottom. If you don’t have a grid logo then you can add your grid name as text. If you do that, and you want your grid name to appear similar to the rest of the text in this image, then use this font: typeface Meiryo; regular; size 18px or more; color #082e6c. If you don’t have the Meiryo font then use whatever else looks similar, e.g. Helvetica. Please note that this will only work if the grid is already known to us and verified for use with Kitely Market. We increased the Idle Visitors Timeout from 30 minutes to 1 hour. This timeout determines when we disconnect avatars who have been in-world for a long time without doing anything (i.e. without moving, chatting, etc.). For World Managers, when they’re in one of their own worlds. For users with a Premium Account or Gold Plan, when they’re in any world. People get OAR files from many different sources, and sometimes those OAR files contain problems which prevent them from being imported into OpenSim. In order to help people handle these cases, we improved our validation of uploaded OAR files. We now detect problems in OAR files faster than before, and when we detect a problem we show error messages that are easier to understand.